When +Chris asked me if I'd be interested in going to a coffee masterclass my immediate reaction was E-R-R-Y-E-S please. I was actually sitting in one of my favourite coffee places in North London sipping on a delicious latte when I got the invite so it was pretty perfectly timed. 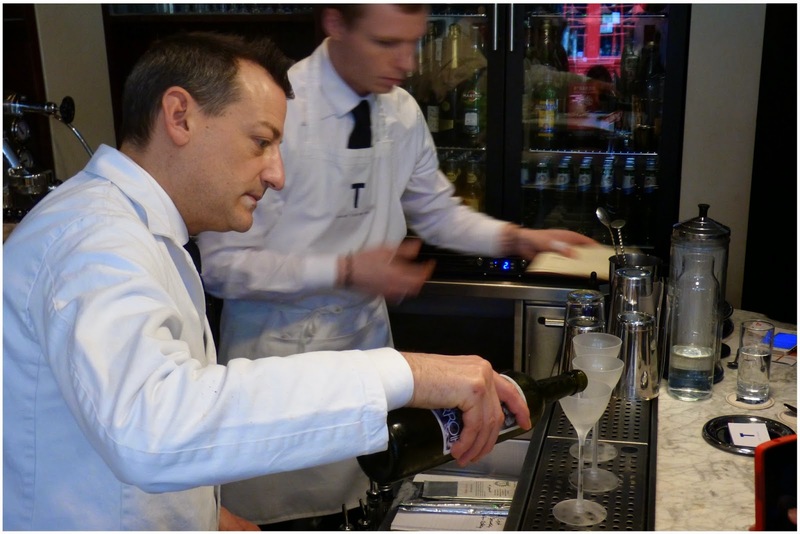 I didn't know much about Bar Termini - I'd heard of the name but not really known much about it - but trusted that if Chris loved the place then it must be good. After a busy weekend of travelling and running around, I was looking forward to getting my brain and taste buds in gear over some delicious java. All I can say is my expectations were met and beyond exceeded - it was a perfect sunday morning sipping on some of the tastiest coffees in the company of coffee king Marco Arrigo and fellow friendly foodies. 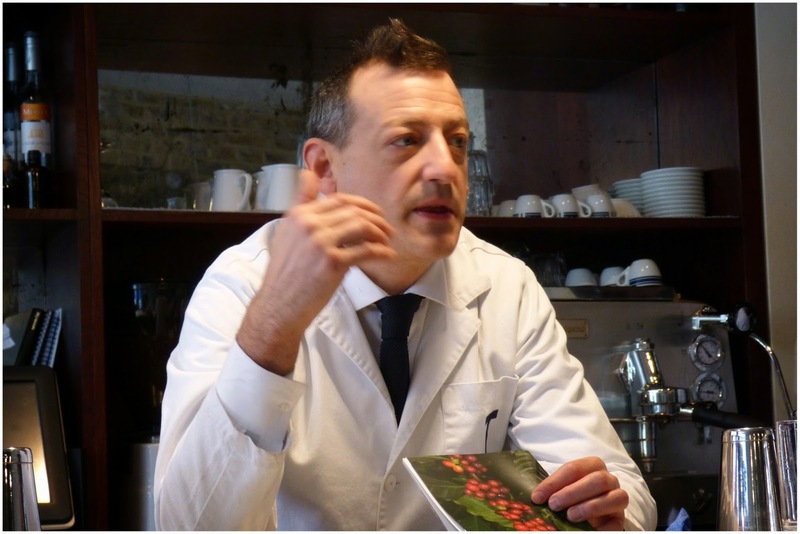 There is no doubt that Marco Arrigo is the king of coffee. From the moment he spoke I knew I was in for the real deal lesson on coffee. Marco talked us through the whole process, from where coffee beans are grown, how they are grown, picked, selected, processed, roasted to how important it is to get the machine and equipment you use right. 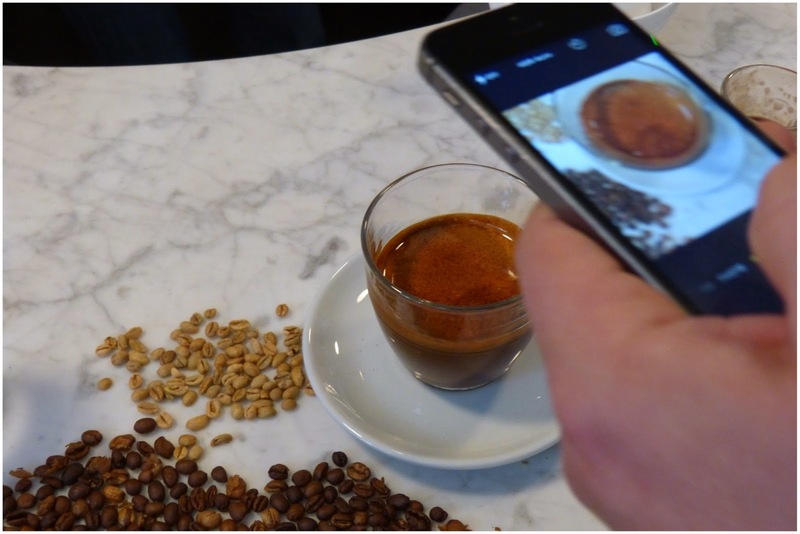 Marco even did a quick flash roasting demo on some green coffee beans so we could all see how roasting changes the size [beans lose 60% weight and double in volume] and colour [from green to dark brown] of the coffee beans. 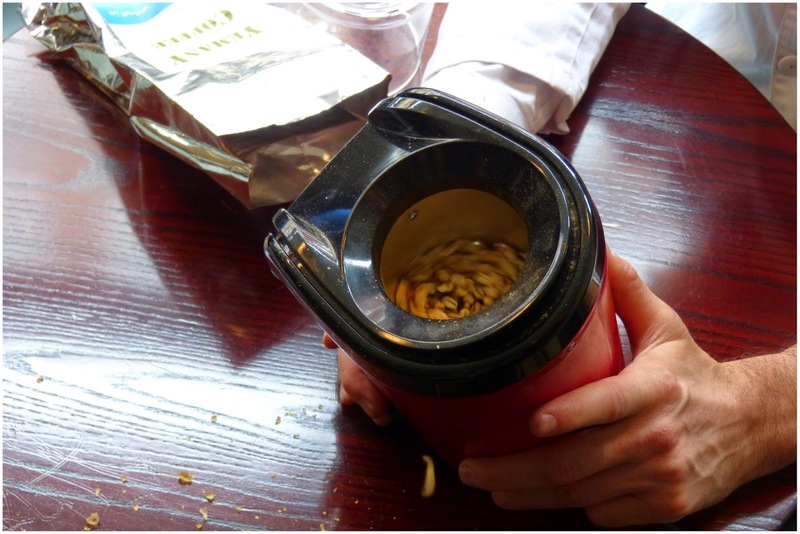 [Flash roasting is super quick - he did it using a popcorn machine - whereas the optimum is about 12-14 minutes]. Every step of the coffee bean's journey from planting to being sipped by many of us each morning is important in creating that perfect cup of coffee. 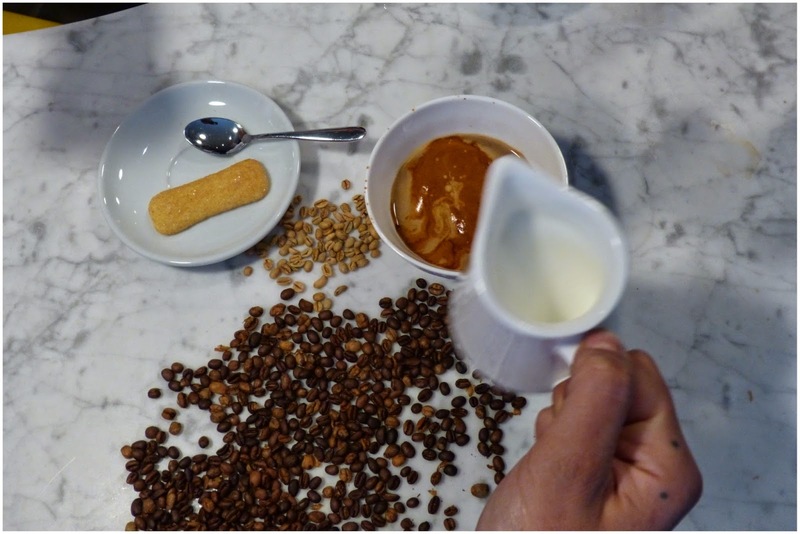 However you like it, straight as an espresso, milky, frothy or with a touch of sugar, the base coffee has to be treated with utmost care and thoughtfulness. If you want that aaaaah-moment then you've got to give those coffee beans love and respect! First off, I like espresso but I am definitely more of a pro- milk / froth coffee drinker. 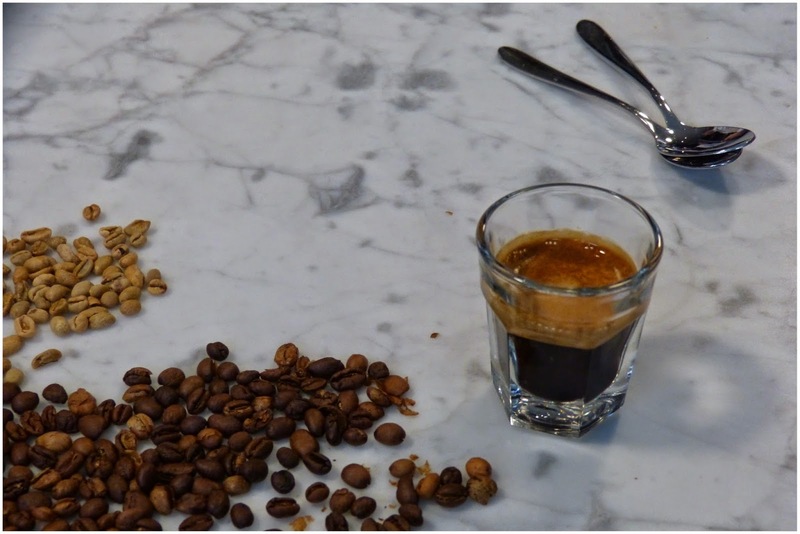 When I took a sip of our first taster - the classic espresso - I was surprised at how creamy and velvety it was. Although Marco said it would be like drinking double cream, I didn't quite believe him until I had a taste. Sure enough the consistency was super soft and though intense the taste was balanced. I could immediately tell that I must have had some bad espressos in the past because I'd never tasted anything like this before - and I didn't hate it minus the milk! 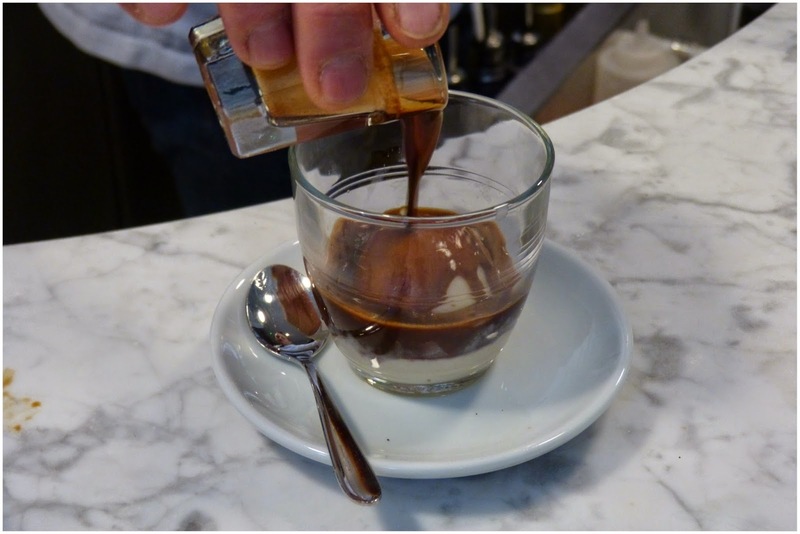 We then added a little sugar to the espresso and the flavours completely changed to a more rounded and almost chocolatey finish. 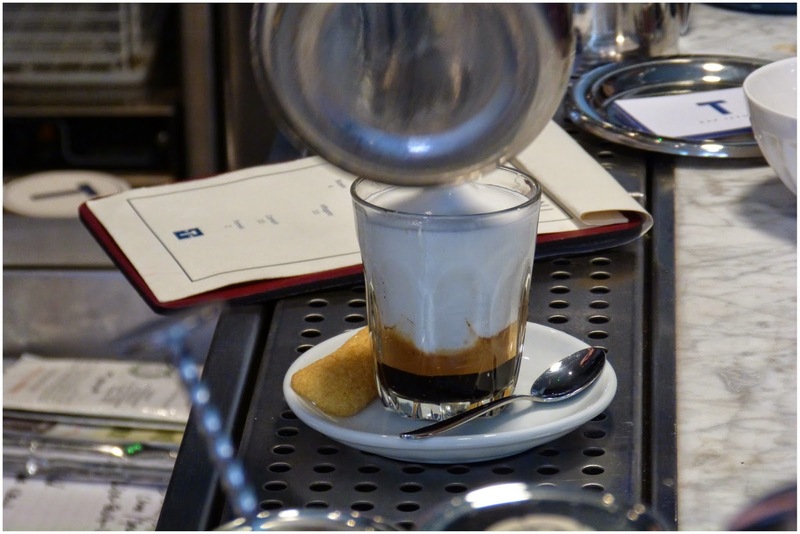 Next was the £1 espresso - a creation by Bar Termini specifically with the aim of pleasing different target markets. 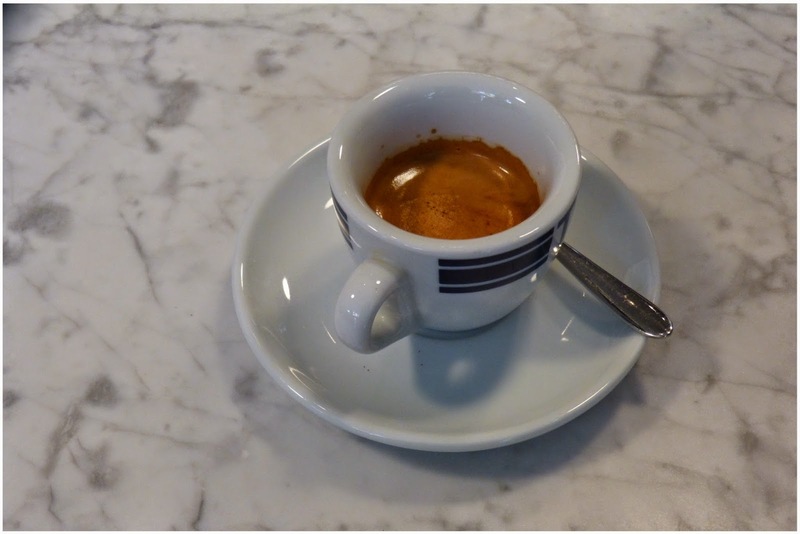 Made much quicker, this espresso I noticed straight away was a little sharper or more acidic. 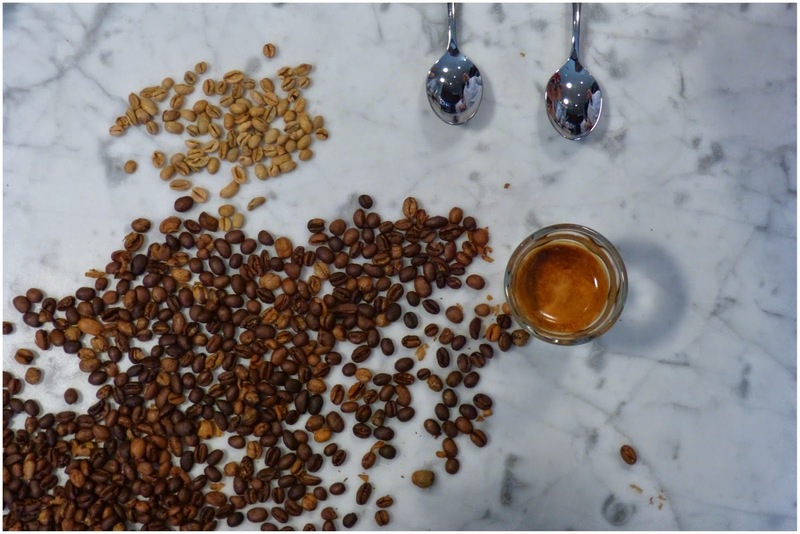 The reason: the same bean had touched metal during its processing - something which the team minimise as much as possible for its main espresso [being in contact with metal effects the final taste]. Then we moved on to more of my coffee territory - adding the milk and the froth. Bar Termini pride themselves on making the real deal. They only have five coffee types on their menu and the bianca is their antidote to the flat white. A shot of the high quality espresso topped with a good dose of two-milk froth and served with a tasty little biscuit [which I can't remember the name of!]. 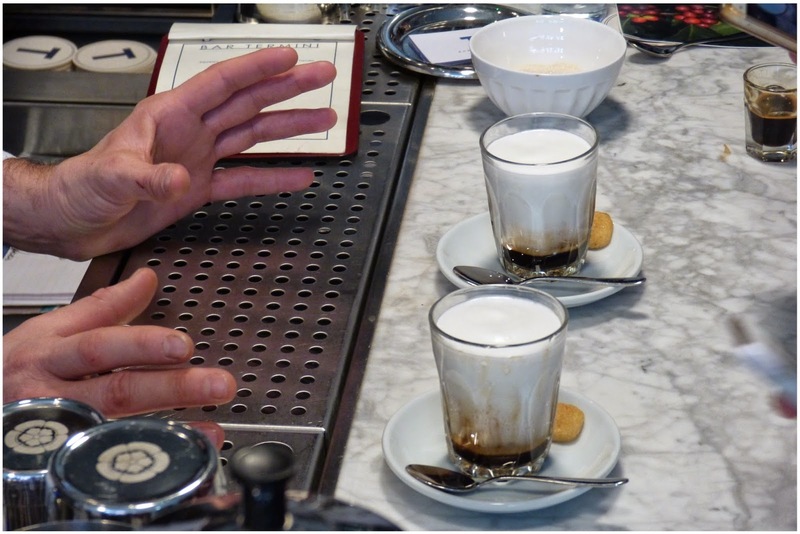 This froth is such a special creation that Marco said it was top secret how they made it. I didn't really mind because this drink was in my top three highlights of the class - great balance of flavour and texture. 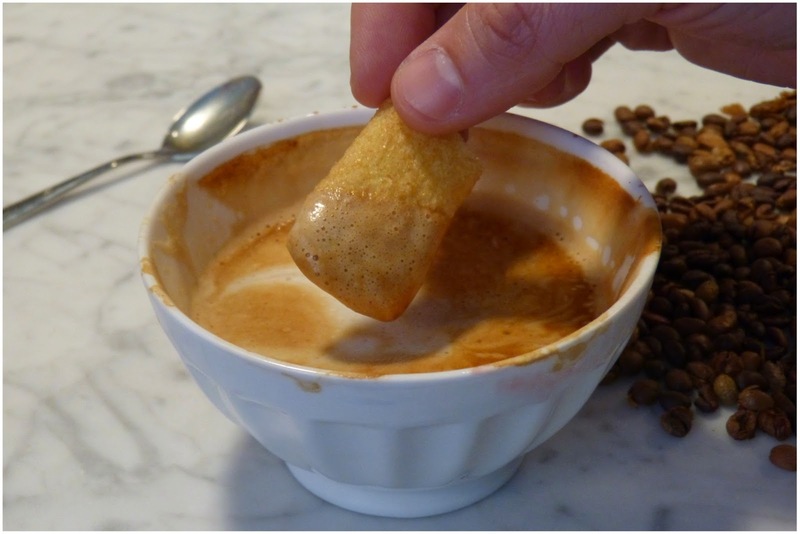 Next, how to enjoy the perfect latte. 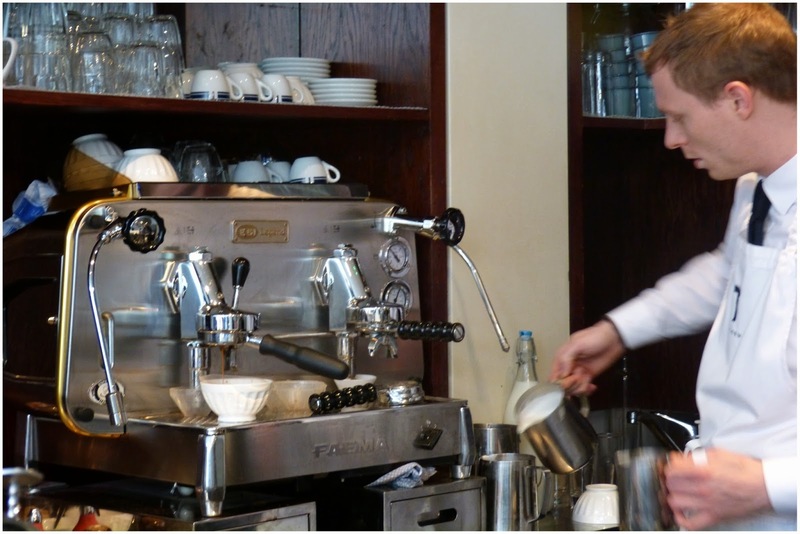 Latte art has become more popular over the last few years and Marco admitted that he had lost many baristas he'd trained over the years to the dark-latte-art-side. Particularly frustrating I could tell as Marco doesn't agree with the whole latte art phenomenon - he firmly believes that coffee should be left alone, the more you tamper the more it affects the flavour. 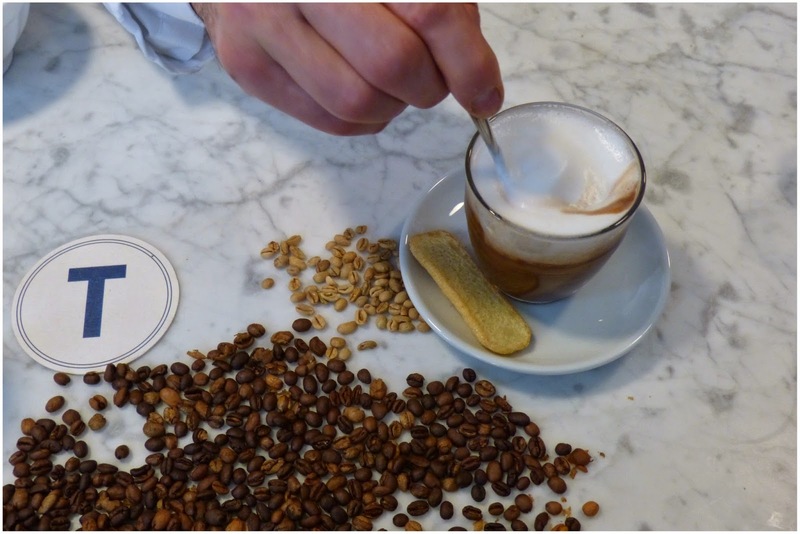 Instead, he has created a fun create-your-own latte art coffee for the Bar Termini menu. 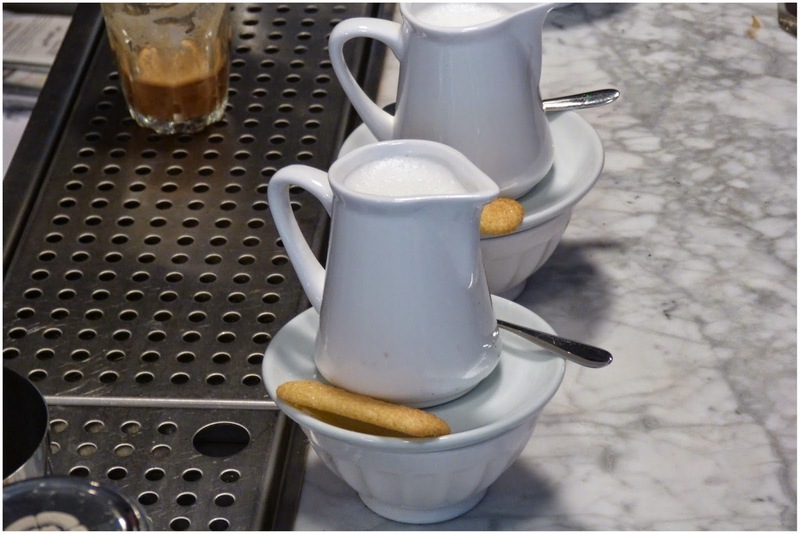 Served in a bowl, you get to pour the milk into your own espresso. Not only does this mean you add the right amount of milk to taste, but you also get to create your own mini abstract masterpiece. Now, it might not be a dragon-with-a-cape-riding-a-bicycle masterpiece but it certainly will be beautiful and natural patterns - a really fun touch to the coffee experience. I had never heard of this before but the bicherin is the real deal version of a mocha. 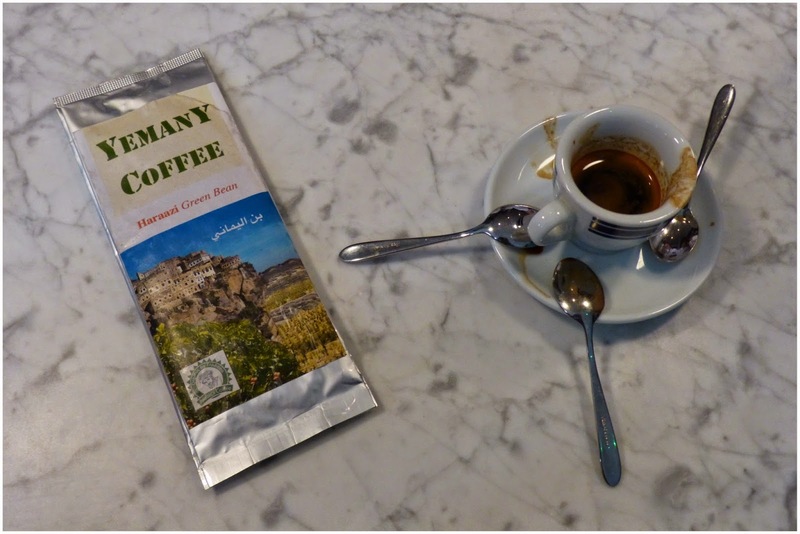 It is made with the same high quality base espresso, drinking chocolate made from Venezuelan criollo [the arabica equivalent in the chocolate world that only represents 1% of world production] and that two-milk froth. This was my second highlight of the class because not only did it taste incredible but it really showcased Marco's passion in only serving the best quality ingredients to his customers. Simply put, if you source and put great products into your recipes then you will create something magical for all to enjoy. 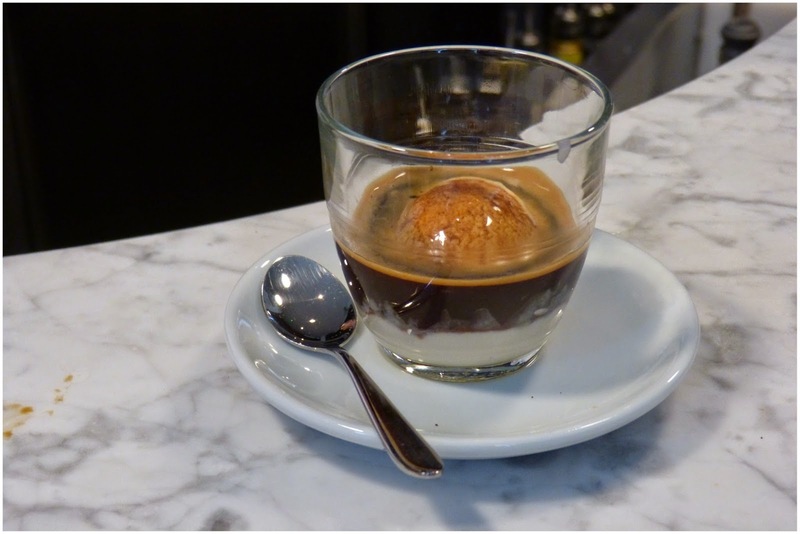 A classic in the coffee world, the affogato is basically ice cream topped with espresso. 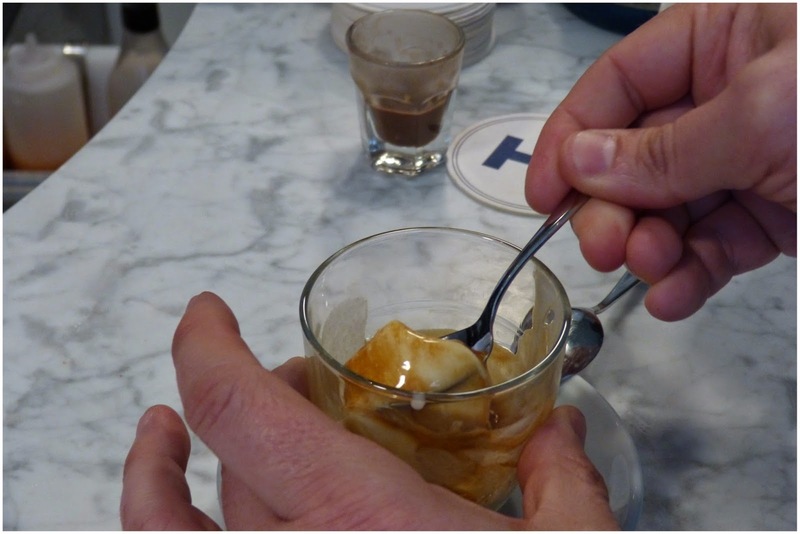 Bar Termini's version is with almond ice cream and my goodness it was on point - definitely up there with the affogatos of all affogatos. Interestingly, not everyone liked the combination with almond ice cream [it tends to be vanilla] but for me it really hit the spot. I could have eaten several glasses of this one! 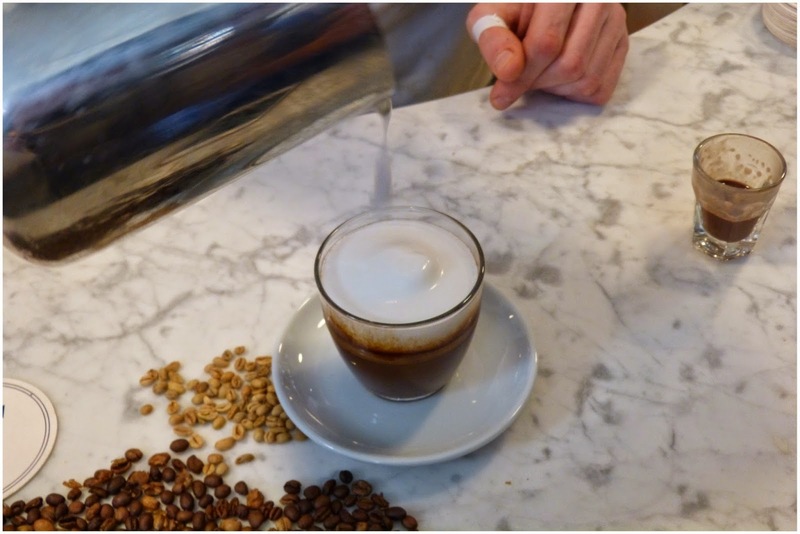 Aside from their incredible coffee creations, Bar Termini also create their own spirits - coffee house by day and cocktail bar by night. 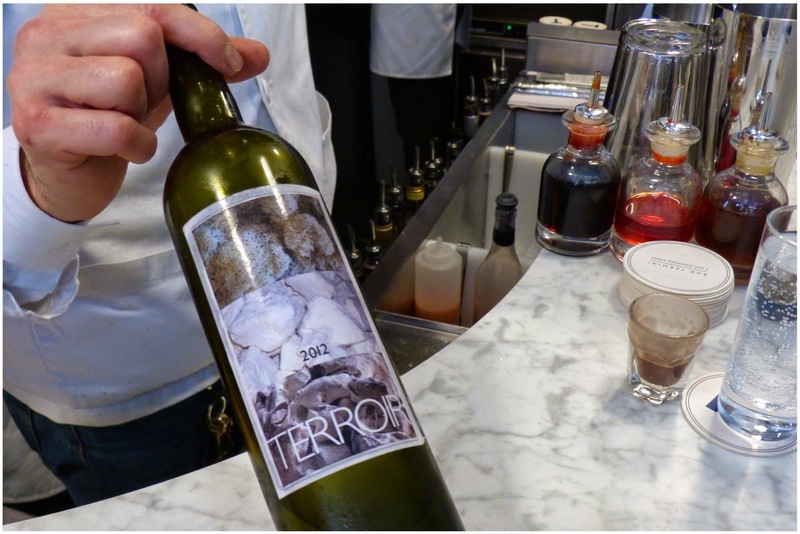 We had the chance of trying one of their recent creations: the Terroir, made of distilled flint, clay and lichen with a base of vodka. I've never tried anything like it but it was delicious. The concept behind the aperitif is simple: it should tease your tastebuds and make you hungry. Marco truly believes that the role of a great bar is to prepare and tease the taste buds before they go out to eat and then relax them after a good meal. 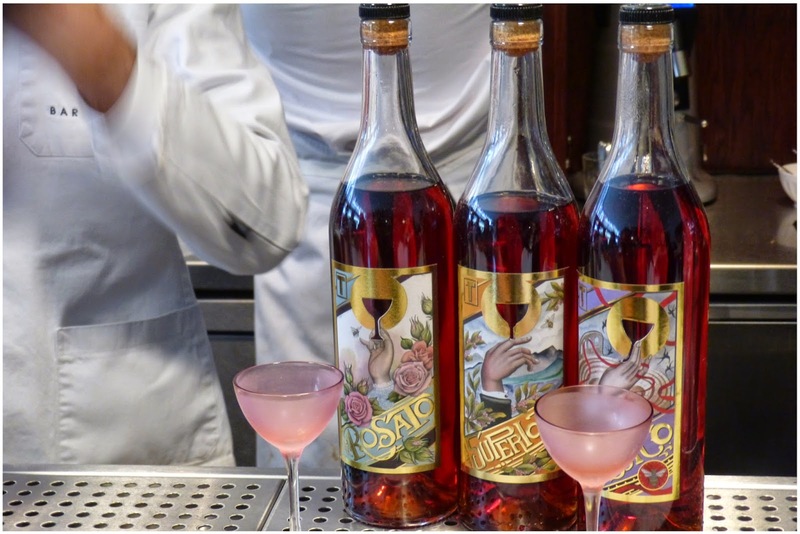 Beautiful drinks housed in beautiful bottles - the labels of their Three Negronis Classico, Rosato & Superiore were inspired by tattoo art and are gorgeous too. 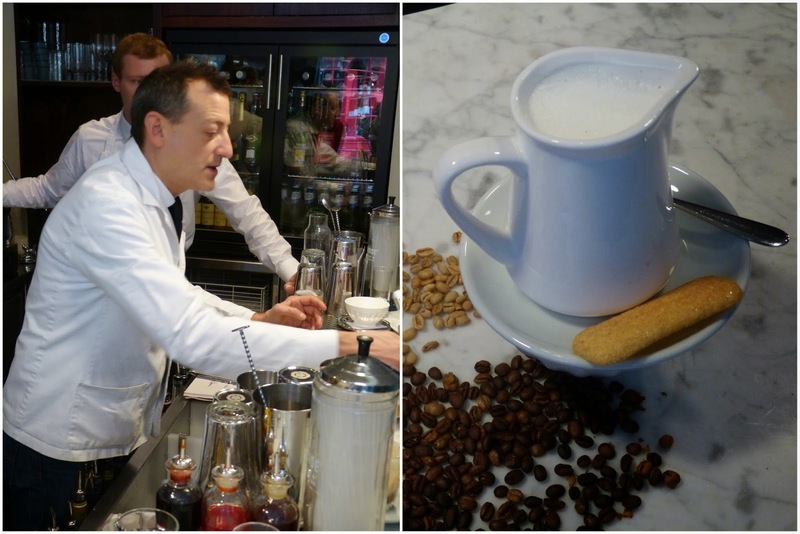 There were lots of great finishing touches to the whole coffee experience at Bar Termini. It was clear that everything served had been carefully selected and had a clear purpose. 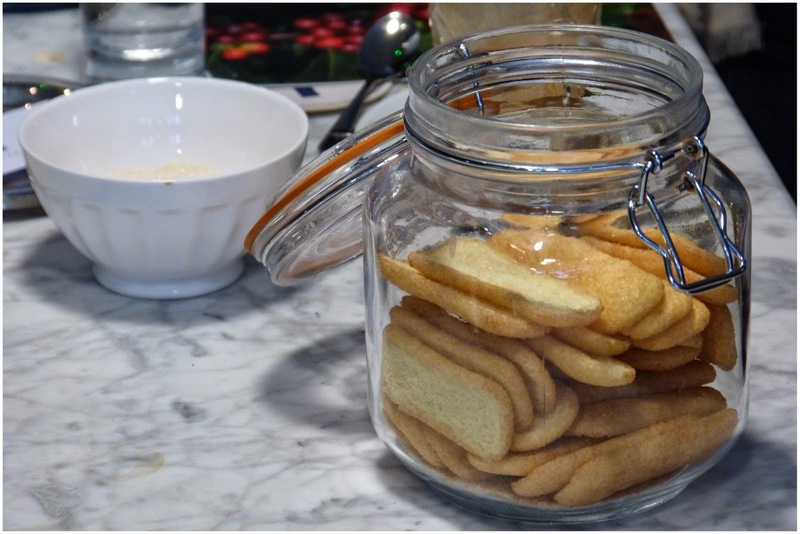 I absolutely loved the biscuits the team served, they were a delicious addition of texture and flavour when coupled with the milk/frothy coffees. Though we didn't get any, they also normally serve pastries with the coffees [these had been pulled out because they aren't freshly made anymore at the weekends - a decision I completely respect]. 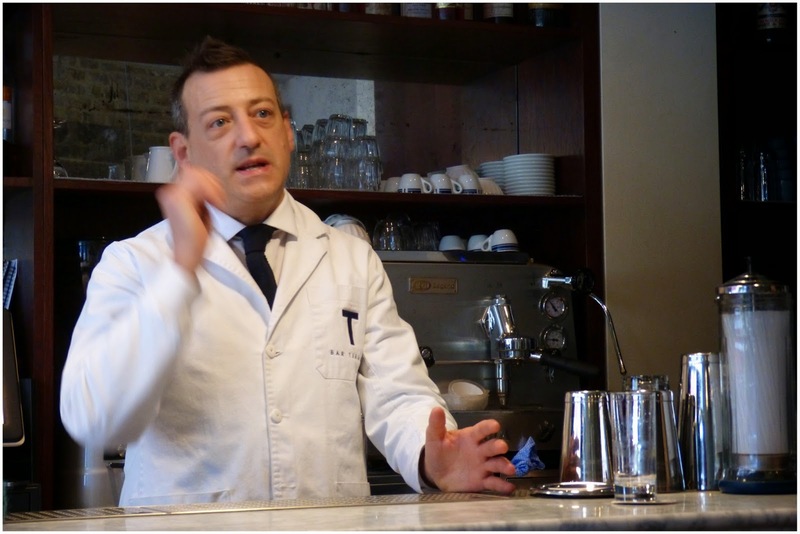 Marco's passion for what he does and what he wants to share with coffee drinkers in this fine city is admirable - the stat that the UK has the highest number of coffee shops but the lowest number of coffee drinkers vs. mainland Europe made me realise that we're all missing a trick here. I love that Marco doesn't want to be like everybody else - there might be a Starbucks on every corner and most consumers may be programmed to order a double-caramel-grande-skinny-machiatto - but Marco wants to show London that a real coffee experience exists which should be appreciated more. And you know what, I 100% agree. a massive thank you to tikichris.com, Yelp & Bar Termini for the invite.